Sonya: Peer pressure is an amazing thing – whether you are 13 or 30-something. Everything in our challenge is somehow tied socially in life. There were times it was difficult because saying “no” to something felt like saying “no” to friends and colleagues. Anyone who knows me knows that no is something of an unknown. 🙂 Got that? Hope so. The easiest piece for me was staying with “no” as I did with caffeine – coffee and soda – and alcohol because I knew exactly if I was taking them in or not. Salt and sugar were more challenging because they seem to be everywhere. Fruit helped curb my sweet-tooth, but I did cave a few times (3 to be exact) and enjoy a treat – usually with the help of peer pressure. It has been a successful experience testing my will power. We are always stronger than we realize and although this wasn’t necessarily moving mountains, it gave me perspective to consider that someday I might be able to… and to appreciate all 30 days of this month. Valuable lessons learned in this experiment…and one lesson learned is I know I will enjoy tomorrow – October 1st very much. Wendy: This was way harder than I thought. The easiest of the four items for me was giving up caffeine. I had already started to make the transition to decaf way before we started this challenge so it wasn’t like I went ‘cold-turkey.’ The other three items were more of a challenge. During the work week was easier to stay on track. My day usually started with a Green Monster smoothie (spinach, frozen kale, ½ frozen banana, raspberries, scoop of chocolate Slim Fast®, ground flax seed, and coconut milk); grapes and decaf coffee for a morning snack; Mason Jar salad for lunch with range dressing; apple or other fruit for a snack in the afternoon, and then homemade chicken vegetable soup or another protein, vegetable, and glass of wine for supper. Weekends were tough! One of my worst days was when I craved salt. I buckled and ate several Lays Kettle Cooked Sea Salt & Cracked Pepper® potato chips. I didn’t kick myself too hard for caving though; I did my best to get back on track to the low end of this challenge. The past 30 days has made me really think about what I am eating or drinking; which I am hoping will become a habit—think first before consuming. My end results after 30 days: 5 pounds lost. Not as much as I had hoped, BUT, my clothes are fitting a little looser than they did last fall. I’m pleased with that. What will be our next challenge? Well, let’s just say we are not frantically looking for one to start. 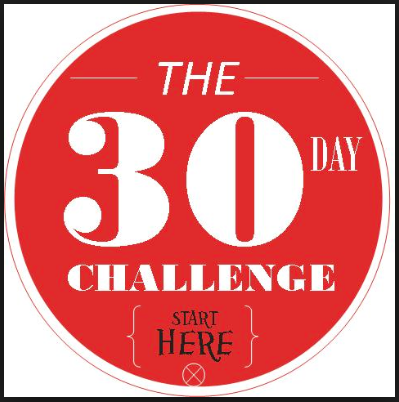 Although we have some ideas, we have a whole day to decide, and one thing we learned about this past 30-day challenge is that each day counts. Go ahead and give the SACS challenge a try. We challenge you to challenge yourself! If you do, please let us know how it went for you. 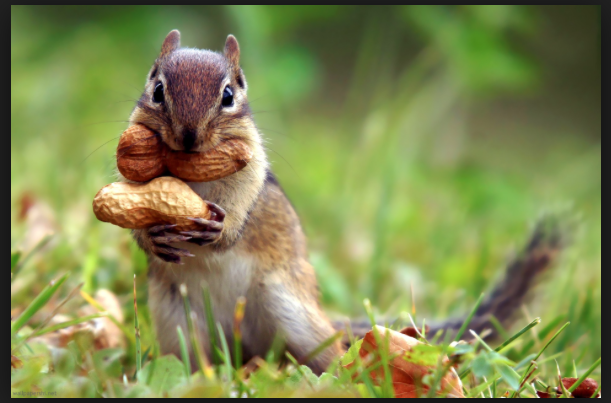 Until next time…stay calm and eat healthy. The path doesn’t always follow a roadmap. Currently on highway 212 near Eden Prairie, GPS tells us we are not on a road but instead in a field. That is one good example of our path not following a roadmap. At one time there was no road here until someone decided there needed to be one. The change was made, and it is better than it once was. The same is true about life. We are where we are today because of roadmaps and changes in the path. It doesn’t always make sense when we are on the road, but maybe from the sky it does. The original detour of this post was going to be about the SACS challenge… and how it wasn’t maybe going according to plan. (Don’t tell Wendy, but I had the blog titled last week before we even started the 30-Day Challenge. Nice positive thinking, huh?) Turns out that the SACS challenge is going according to plan –post caffeine headaches resolved of course. (Don’t tell Sonya, but I knew we could do it without a doubt and a little prayer.) Well, this post is about life’s detours unrelated to the SACS challenge and instead is about what we do when life and learning throws a curveball or a big, giant boulder. We are no longer on highway 212 and instead at the University of Minnesota to see an orthopedic specialist – a spine doctor to be quite medically precise. Mr. V., who recently had foot surgery, is now being challenged with some serious back issues. We don’t know much about this path yet, but we are on it. We will figure out the roadmap along our way. The phrase “stay the course” might be optimal for some situations but not for all. For this one, we will figure out which course is needed and go from there. We need to take the detour. Flexibility is key to teacher survival. We can prepare for possible paths and detours, but we can’t control everything. So what is a teacher to do? Take a look at the path and what happened to the path. Map where you have been including detours you had to take so you know where you might want to go. Mapping learning is the end product of lesson planning. It is taking a look at where a teacher planned to lead their students and where they actually went. Hind-sight is always 20-20, right? Detours are usually not fun but eventually we get where we need to be. And…sometimes the scenery on the detour brings unexpected wonder, beauty, and awe. We might even be thankful for the detours at the end of the journey. So for today – think about where you are going and then consider where you have been. 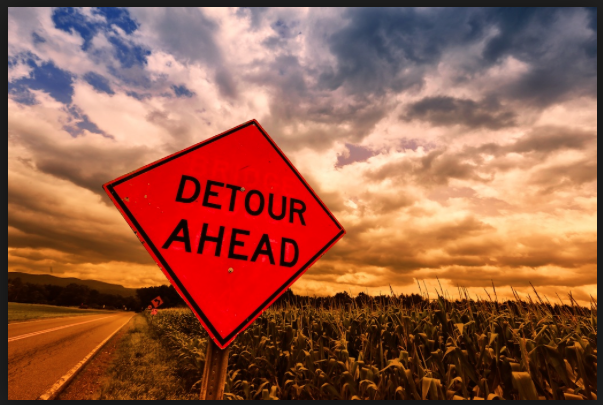 The roadmap might have a few scribbles, but if we are flexible, we will be just fine on the detour. Our scribble for today is not posting this blog when we wanted to…yesterday. So… remember yesterday, enjoy today, and plan tomorrow. Sometimes the scenery on the detour brings unexpected wonder, beauty, and awe. We are thankful we were detoured. That’s it! We’ve had it! We’ve come to our wit’s end. It’s time to change this! Those few extra pounds that snuck up on us over the summer months have got to go! They have overstayed their visit! Ok- so maybe it isn’t only the unwelcomed visitors but also that tired-from-a-sugar-high feeling or the dragging feeling without the necessary intake of daily coffee needed to keep the engines running high. What to do?? Take on a 30-day challenge of course! 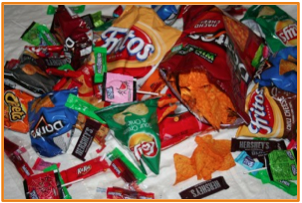 It is time to detox the junk and start from scratch. Matt Cutts shares in his TED talk several different 30-day challenges that he has accomplished. Some challenges required adding something to his life, while other challenges took away something. We can tell you that after we watched that talk, we tried a few challenges ourselves. Challenges like adding 60 minutes of exercise a day for 30 days; taking away Facebook for 30 days; adding 30 push-ups a day for 30 days; taking away candy in the month of February. In all honesty, we were victorious when we added to our lives, but we failed miserably every time we took something away. Well, we are hopeful that we are about to change that. Beginning September 1 until September 30, we are taking action and doing the SACS Diet 30-Day Challenge. The Low/No Sugar, Alcohol, Caffeine, and Salt (SACS) Diet. And, no, you won’t find that diet in a book anywhere. We just made it up. 🙂 Wait…maybe that will be in our book?! We believe we can do this. We will keep you posted on how we are doing. As the American Authors sing, “I’m just a believer that things will get better.” Please join us if you’re up for the challenge! And may we ask that you please keep us posted on your successes and difficulties! Are you ready? Ready, set, ….GO!